Open data and open source software may be a guide for such an joint effort. 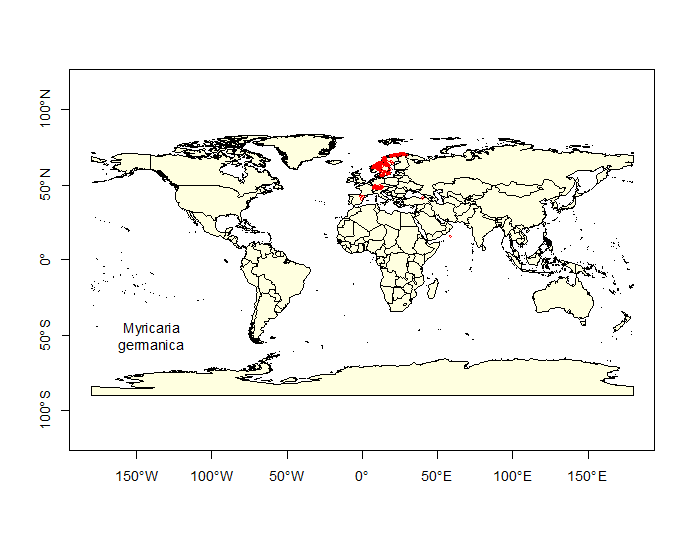 Let's have a look on the data side at ressources of EEA, GBIF and Natural Earth, on the software side at QGIS and R.
GBIF facilitates free and open access to biodiversity data, e.g. 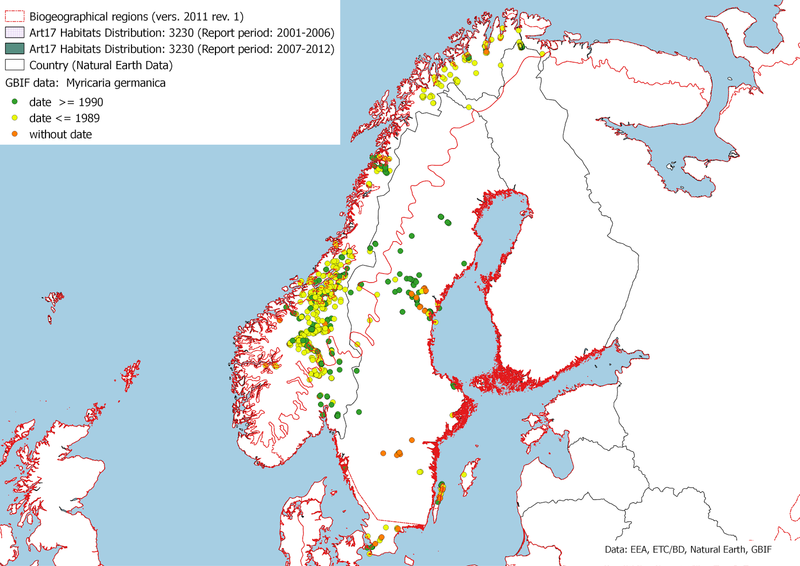 species distribution data. 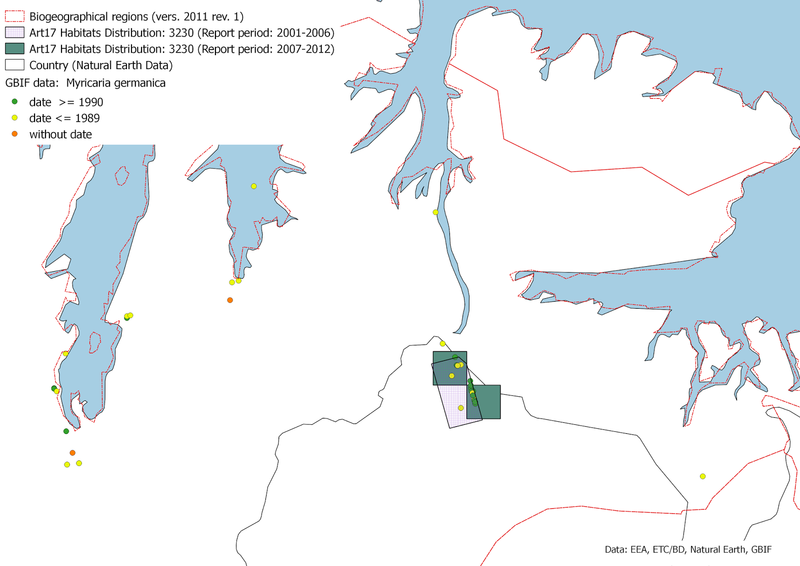 This kind of data can be accessed and processed by R and its packages dismo, sp, rgdal and maptools. Natural Earth has a nice compilation of cultural, physical and raster GIS data; in this example the boundaries of countries are used. 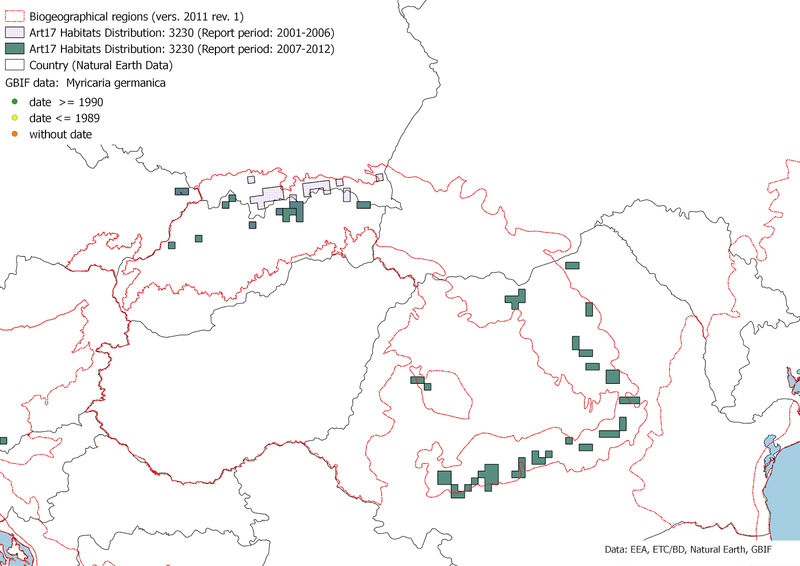 The European Environment Agency (EEA) delivers data of the biogeographical regions and the article 17 report GIS data on the conservation status of habitat types and species for the reporting period 2001-2006 required by the Habitat directive. 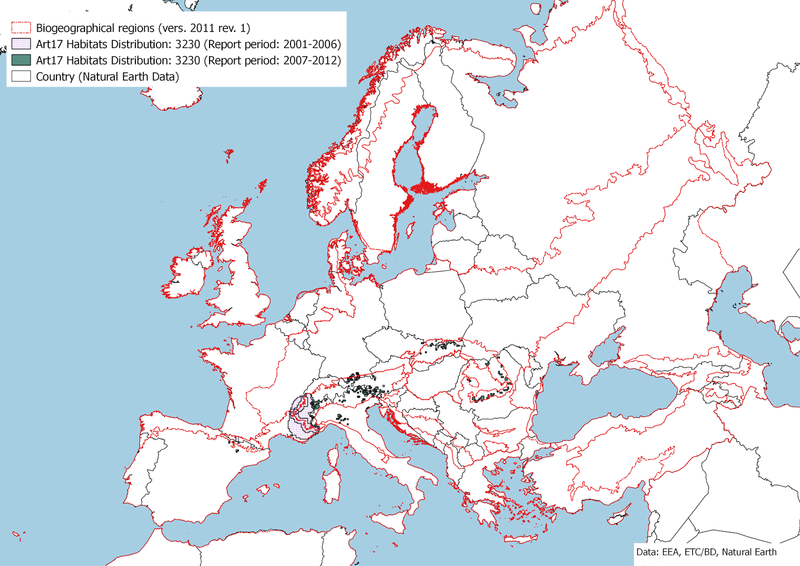 The European Topic Centre on Biological Diversity supplies data of the article 17 report for the period 2007-2012. Let's collect all the GIS data for e.g. 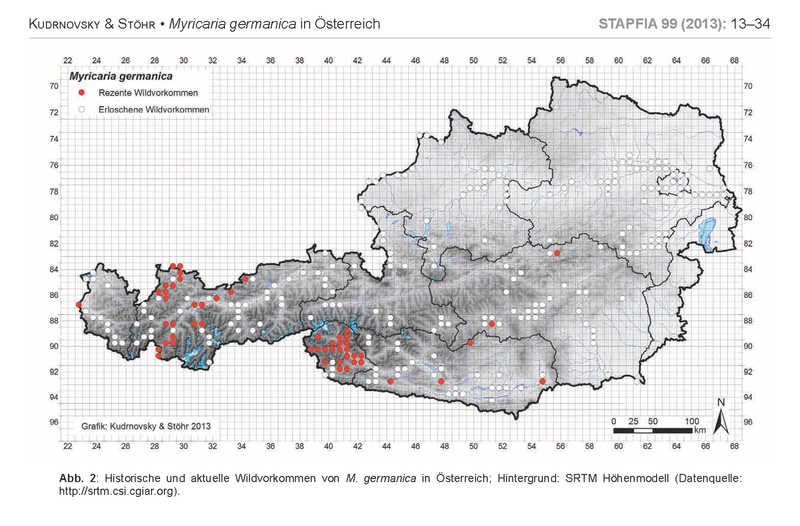 habitat type "3230 Alpine rivers and their ligneous vegetation with Myricaria germanica" and load the data into QGIS. Data for France and Slovenia of the reporting period 2007-2012 isn't available yet. taken from Kudrnovsky & Stöhr, 2013. Myricaria germanica (L.) Desv. historisch und aktuell in Österreich: ein dramatischer Rückgang einer Indikatorart von europäischem Interesse. STAPFIA 99 (2013): 13–34. As differences in the state of knowledge and differences in important datasets like GBIF and article 17 report are getting obvious, a joint effort of knowlegde transfer and boosted data exchange may be needed to achieve the targets of the EU Biodiversity Strategy to 2020.